Challenge winner, 8 Bit Dreams, wants you to design a NES mock-up based on a Disney Silly Symphony short. It's strongly encouraged that your submission fits the NES requirements exactly (see below), but this is optional. You only need to use the correct colours and canvas size. Canvas Size - Exactly 256 (width) x 224 (height). 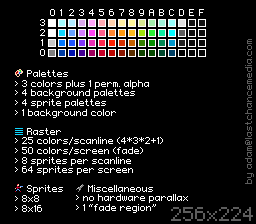 Colours - Max 16 (must only be selected from the NES palette). Thanks so much to all who took the time to vote and participate in the challenge! Check out the So Far Away forum thread for more information. It's time to vote for the latest pixel art challenge: Year of the Yang. Ninja Pig Studios Accused of stealing pixel art for forthcoming Wii U release Jumpy Cat. Check out these joyful nostalgic pixel artworks by Walter Newton to be shown at the Coningsby Gallery in London. The artist who gave computing a human face and often credited as the first pixelartist. 2 NEW addons just added !!! Kids born today won't know what a pixel is, and that's a dream come true. Depending on who you ask, it's either the Year of the Wood Goat or Sheep (...or Ram). Either way, depict one of the above animals made from wood. It's time to vote for the latest pixel art challenge: So Far Away. Thanks so much to all who took the time to vote and participate in the challenge! Check out the B.C. (Before Columbus) forum thread for more information. Ever wondered how to make pixel art? Wonder no more! Depict a long-distance relationship between two characters, both of whom are non-humanoids. Thanks so much to all who took the time to vote and participate in the challenge! Check out the Ned Kelly forum thread for more information. It's time to vote for the latest pixel art challenge: B.C. (Before Columbus). 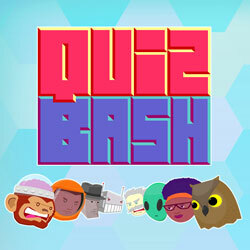 PJers Fool and Dinofly have made a game. Pixel artists Paul Robertson and Ivan Dixon have recreated the iconic opening to The Simpsons for a tribute video that's so fantastic, it's hard to believe it's not official. Featuring music from Jeremy Dower, an interpretation of Danny Elfman's theme, the pixelated, chippy take on The Simpsons' intro is a beautiful, stylized homage. Thanks so much to all who took the time to vote and participate in the challenge! Check out the Treehicle forum thread for more information. It's time to vote for the latest pixel art challenge: Ned Kelly. includes any ancient culture from North or South America.